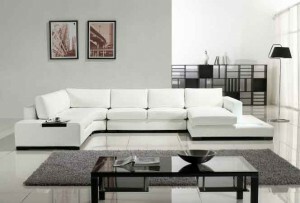 Leather furniture in your home/office provides comfort and beauty and evokes a sense of prestige. Leather is susceptible to cracking, dryness, scuffs, scratches, cuts, fading and other damage. Oils and Grease – Body oils can easily attach and transfer to the head cushions and armrests of your leather furniture and can cause serious damage to the protective finishes found on leather. Atmospheric Soils – Consider the dust that builds up on a coffee table or desk over a week’s time. This same dust is being deposited on your leather. In addition to this dust you add airborne cooking oils and atmospheric pollution that is present, to some degree, in every home. Common Soils – These soils include the common dirt tracked in from outside and garden by adults, kids and pets. Dyes and Inks – The inks from newsprint in newspapers and from a leaky pen can readily be deposited on leather. Clothes such as denims can transfer dye onto leather in a process called dye transfer. Ultra clean Melbourne’s certified technicians are able to offer the best range of leather cleaning services available in the industry. Many cleaning products currently on the market are not suitable for cleaning leather, and may break down leather finishes, promoting dryness and cracking. Our leather products are safe and effective for leather. Leather furniture is not cheap, so don’t take risks over its care, regular cleaning and maintenance by a certified Ultra Clean Melbourne technician can prevent any undue wear on your leather furniture and keep it looking great. A regular cleaning schedule includes professional leather cleaning every 8 to 12 months as a minimum, depending on the usage and location of the furniture piece. An item that is located in front of a direct sunlit window or a piece that is in the main family room of the household may require professional cleaning and protection twice a year.